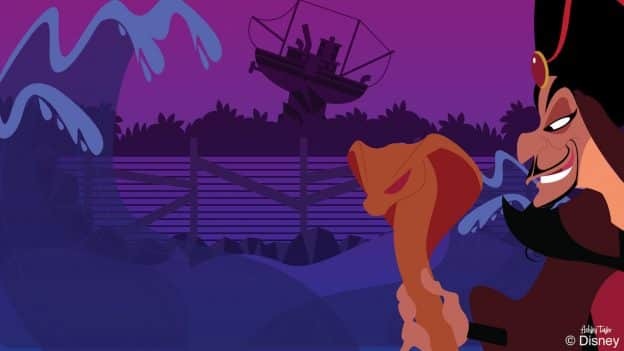 This weekend edition of Disney Doodles takes a look at what Jafar from “Aladdin” might do if he had the chance to visit Disney’s Typhoon Lagoon Water Park. According to artist Ashley Taylor, the idea for this Disney Doodle came from the idea that this Disney villain is always trying to interrupt the fun. Disney Doodle: Ursula Visits Ariel’s Grotto – in Disguise!